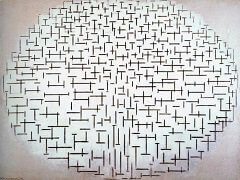 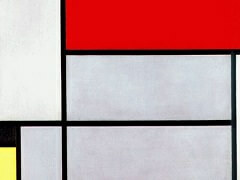 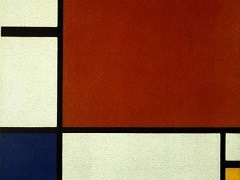 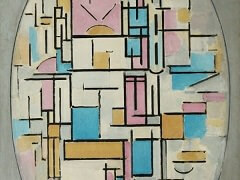 Mondrian was a member of the Dutch De Stijl movement from its inception in 1917. 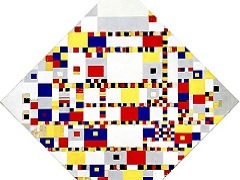 By the early 1920s, in line with De Stijl practice, he restricted his compositions to predominantly off-white grounds divided by black horizontal and vertical lines that often framed subsidiary blocks of individual primary colors. 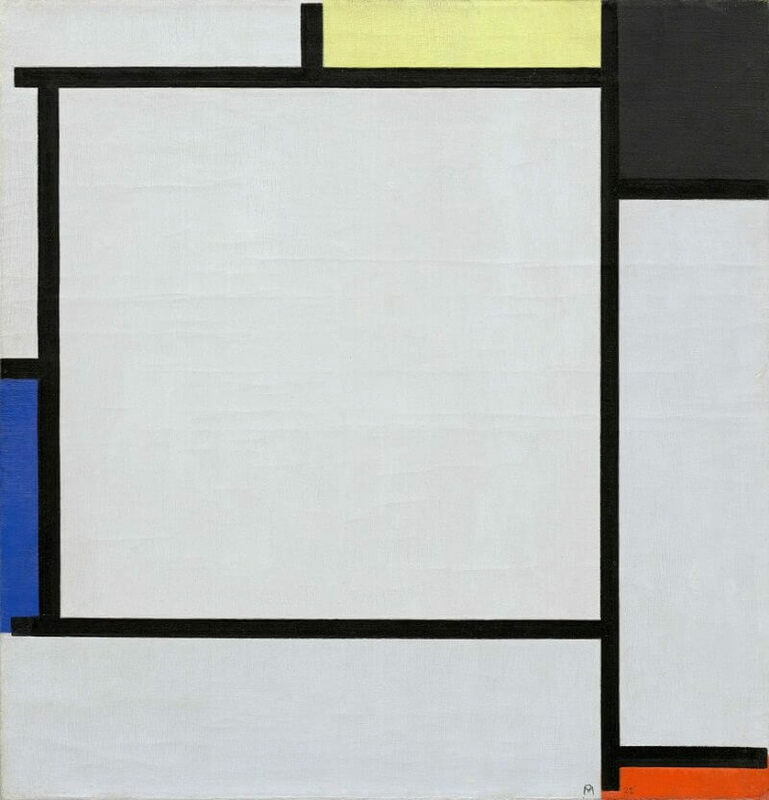 Tableau 2 (1922), a representative example of this period, demonstrates the artist's rejection of mimesis, which he considered a reprehensibly deceptive imitation of reality. 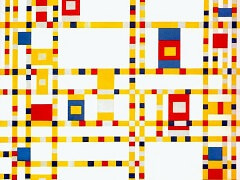 In Tableau 2 Mondrian wanted to make a painting that could be universally understood by people from any culture on earth - a pure paintings that would make sense to an Australian aborigine as well as to a European, just like The Last Supper by Leonardo da Vinci. 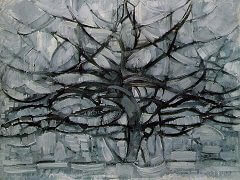 To create his universal paintings, Mondrian decided he need to simplify visual art to its essence and create perfect images that reflected pure visual harmony. 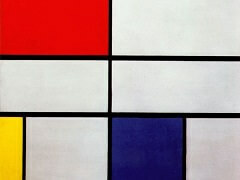 It would have to be an art that depended on no illusions like depth but was flat and direct.